Multivariate Testing (MVT) is a method wherein you make changes to multiple sections on a webpage and create variations for all the possible combinations that result from those changes. 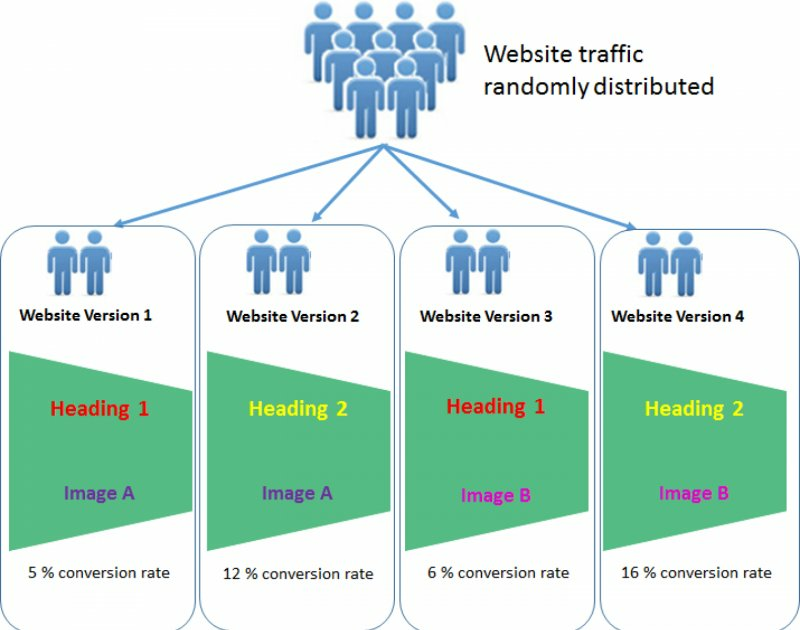 After you run a Multivariate test on all combinations, you know which combination impacts the conversion rate of the page the most. Let’s compare Multivariate testing with A/B testing to understand when you should choose Multivariate over A/B. While A/B testing, when you are making multiple changes on a web page, you are measuring their impact on the conversion rate. If you want to track the individual impact of each change, create one A/B test for the modified headline and one for the modified image. In contrast, in a Multivariate test, within a single test, you test out all the combinations that result out of the changes you have made. The objective of a Multivariate test is to help you figure out which element in a web page makes the most impact on the conversion rate of the page. MVT is more complicated than A/B testing and is best suited for advanced marketing professionals. Running a Multivariate test is useful only when the website receives high traffic. A Multivariate test is suggested when you have a hypothesis with multiple ways to implement a variation, but you are unable to decide which combination should be tested.